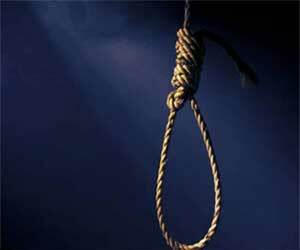 New Delhi: In a shocking incident, a 52-year-old Consultant in Radiology working at the Centre-run RML hospital allegedly committed suicide on Wednesday by hanging herself from a ceiling fan at her residence in North Avenue area here. The deceased, identified as Poonam Vohra, was a consultant Radiologist at Ram Manohar Lohia hospital, police informed. The North Avenue police station was informed about suicide at 1 pm following which they rushed to the spot, police said. Investigations revealed that Vohra was on leave. Her husband and two children were not at home at the time of the incident. The flat was found locked from inside, a senior police officer said. A report in TOI states that the doctor, Vohra was conducting a disciplinary inquiry against the three doctors, whose names were mentioned in the note, cops claimed. The trio had allegedly “humiliated and harassed” her, which drove her to take her life. The police are now going to initiate a probe against the matter and senior officials from the hospital are also being interviewed as part of the investigation. When contacted, DCP (New Delhi) Madhur Verma confirmed the developments and told the media that police had initiated a probe into the incident. Times of India adds that an inquest has been launched but the cops could register an FIR under section 306 (abetment to suicide) if the note and the allegations made therein are verified. The legal proceeding has been initiated and the post-mortem will be conducted on Thursday, he said. Vohra lived with her husband and two children at a government flat in Baba Kharak Singh Marg. Her husband works as a consultant with a private firm, police said. At job stress to specially docs are reportedly increasing from all . It is surprising that a senior doctor from a speciality , speciality which is in great demand , should take such a drastic step. Circumstances surrond case are confusing. Suicide when husband and children are away, something suspicious? Suicide suggesting harassment by colleagues against whom investigation was going on is also not understandable. Husband must be knowing about harassment in advance and there must be some hushed up unreported complaint of harassment. If under such a great strain, she could leave the investigation. Only case details can clear the air. It is all confusion but very sad story. Very sad indeed. But to commit suicide one has to be having underlying depression which had gone untreated. So to blame the colleagues only would be unfair. I hope the trial against the doctors are fair because the deceased person was at a senior level and not in a vulnerable stage in her career. Somewhere her family failed her more than her colleagues. Very Sad. Radiology is a branch which is not too demanding, as far as stress of the patient management is concerned. But when the person names work colleagues for such a step, it shows that a lot of energy is spent in the workplace on things other than the profession. A senior person taking such a drastic step shows complete lack of support system and the communication system on all fronts. And sadly, this is happening all around us.